Delgado Community College appears in our ranking of the 10 Best Online Colleges for an Associate’s Degree in Hospitality. 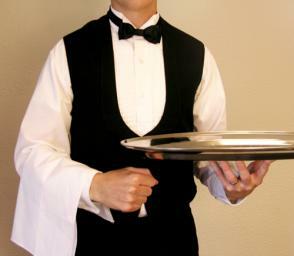 In New Orleans or online via Canvas, the Business and Technology Division grants the Hospitality Management A.A.S. for Delgado Community College undergrads seeking foundational leadership skills for Louisiana’s #1 fastest-growing service sector. Chaired by Prof. Angela Wilson, the 62-credit program has a 21:1 ratio to faculty with 90+ years of combined experience coordinating profitable guest experiences. Expect an ACPHA-accredited core of eight- or 16-week courses like Hospitality Law, Revenue Management, and Cultural Diversity. Next, students pick from six concentrations: Restaurant Management, Hotel & Lodging Management, Tourism Management, Beverage Management, Meeting & Event Management, or Catering Management. Second-year majors complete a HOST 210 practicum at The Pontchartrain, Le Méridien, Hotel Monteleone, French Market Inn, Ernest N. Morial Convention Center, Commander’s Palace, and more. Since 2008, there’s been a 2+2 A.A.S./B.S. Transfer Agreement with the University of New Orleans’ Lester E. Kabacoff School. Delgado undergrads could also pursue the Culinary Management C.T.S. for the National Restaurant Association’s FMP credential after 27 credits, such as Menu Design. 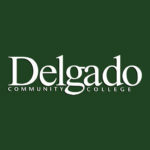 Delgado Community College originated in September 1921 when the City of New Orleans opened the Central Trades School to 1,300 men using bequeathed funds from Jamaican industrialist and Museum of Art founder Isaac Delgado. Facing financial trouble after World War II, it took Tulane University’s recommendation to become a two-year institution in 1956. Ten years later, it was transformed into the Delgado Vocational-Technical Junior College. Through Act 446, the Legislature authorized Delgado’s administration by the Louisiana State Education Board in 1970. Accredited in 1971, Delgado Community College was formally named by Governor David C. Treen in 1980. Since 2007, DCC has delivered online courses beyond the 19-building City Park campus and satellites from Metairie to Avondale. Budgeting $90.11 million, Delgado now enrolls 18,684 Dolphins, including Hospitality Management A.A.S. majors, with 51 percent retention. Community College Week ranked DCC among the nation’s 50 best for African-American students. Best Value Schools also crowned Delgado Community College the fourth most affordable investment in Louisiana. In June 2016, the Southern Association of Colleges and Schools Commission on Colleges (SACSCOC) Board of Trustees approved the Level I accreditation of Delgado Community College to restart the 10-year evaluation cycle under its chancellor, Dr. William S. Wainwright, who won the 2004 Louisiana Technical College Outstanding Administrator Award. Located 447 miles northeast via Interstate 65, this 11-state Gulf Coast Region accreditor is recognized by the Council on Higher Education Accreditation (CHEA) to check characteristics of excellence in DCC’s 35 associate degree, five technical diploma, and 36 certificate offerings. The Business and Technology Division has been reaffirmed by the Accreditation Council of Business Schools and Programs (ACBSP) since 1995. Specifically, the Hospitality Management A.A.S. was accredited by the Accreditation Commission for Programs in Hospitality Administration (ACPHA) in 2016. On September 7, 2012, Delgado was also approved by the American Culinary Federation Education Foundation Accrediting Commission (ACFEFAC). Getting into Delgado Community College is labeled “least selective” by the U.S. News & World Report with a 100 percent acceptance rate for the 5,312 Class of 2017 entrants. First-year Dolphins diving into the Hospitality Management A.A.S. must graduate from an accredited high school or pass the GED/HiSET equivalent. Non-graduates can take the $15 Ability to Benefit Test for minimum 60 Sentence Skills, 55 Reading Comprehension, and 34 Arithmetic marks. The City Park Campus requires immunization for measles, mumps, and rubella plus tetanus-diphtheria in the last 10 years. Following Louisiana R.S. 17:3151, Delgado only accepts males under 25 who register for selective service. Specific grades aren’t listed, but freshmen hold an average 2.5 GPA. The Office of Advising schedules placement tests if undergrads haven’t met 22 ACT Math or 25 ACT English scores. The Louisiana Board of Regents system only accepts validated transfer credits graded “D” or higher. Entering the 2+2 A.A.S./B.S. in Hotel, Restaurant and Tourism Administration track requires cumulative GPAs above 2.25 too. Delgado Community College has rolling open-enrollment admission year-round. However, priority dates are July 26th for Fall, December 12th for Spring, and April 18th for Summer entry. Foreign learners can only apply until July 1st or November 15th yearly. Interested Hospitality Management A.A.S. students complete the $25 ($50 if international) application online. Materials, including transcripts and GED reports, are also mailed to 615 City Park Avenue in New Orleans, LA 70119. Electronic test results are generated with ACT code 1577 or SAT code 6176. Supplemental items include the letter of intent, immunization record, counselor verification form, and non-resident tuition waiver request. Non-U.S. residents add notarized financial support statements plus minimum 22 Reading, 26 Speaking, 22 Listening, and 25 Writing scores on the TOEFL iBT. Contact (504) 671-6140 or dcchospitality@dcc.edu for program specifics. For 2018-19, Delgado Community College is billing Louisiana residents $169 per credit or $2,039 each semester full-time. Non-resident Hospitality Management A.A.S. majors pay $348 per credit or $4,183 by term. Excess credits above 15 incur $150 apiece. The $75 access fee, $10 student government fee, $15 Life Center fee, and $30 activity fee are added every term. DCC budgets $9,270 for off-campus room and board yearly. Textbooks cost $1,244 and personal supplies total $3,784 on average. Yearly associate attendance equals around $9,107 in-state and $13,396 out-of-state. Please note online Business and Technology Division courses are priced $133 per credit plus a $40 registration fee each session. The 2+2 A.A.S./B.S. Transfer option costs Louisianans $18,599 and non-residents $23,435 annually starting year three. According to the NCES College Navigator, the Financial Aid Office in Building 2 connects 70 percent of DCC Dolphins to $34.33 million combined for a median offer of $3,243 apiece. Collegiate funds include the Brian Fazekas Memorial Scholarship, Cafe Reconcile Scholarship, Chancellor Scholarship, Culinary Scholarship, Achievement Award, Fry Family Leadership Scholarship, Seymour Weiss Scholarship, Melissa Deno Scholarship, Adult Scholarship, Transfer Graduate Scholarship, and Honors Scholarship. The New Orleans Delta Foundation has a May 15th deadline for students exceeding 2.7 GPAs. Since 2009, the Louisiana Restaurant Association has awarded over $440,000 in Jim Funk, ProStart, and Board Fund Scholarships. Delgado Community College qualifies for GNOHLA Chapter hospitality scholarships worth up to $8,000. State-based assistance like the Louisiana Go Grant, Taylor Opportunity Program, and Air Force College Grant could help. Submitting FAFSA applications coded 004626 may unlock the Federal Pell Grant and FSEOG Grant. Federal Work-Study jobs, including in Burt’s Cafe, pay $10/hour. First-time borrowers also sign a Master Promissory Note for Federal Direct Subsidized and Unsubsidized loans. Find more about Delgado Community College at the Culinary Arts and Hospitality Management Department website.